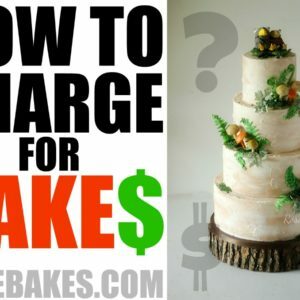 This is one of those problems that everybody in the cake decorating world has had problems with at one time or another. In fact, for years I struggled with this myself! I hope by sharing this simple tip, maybe some of you won’t have to struggle as much as I did! 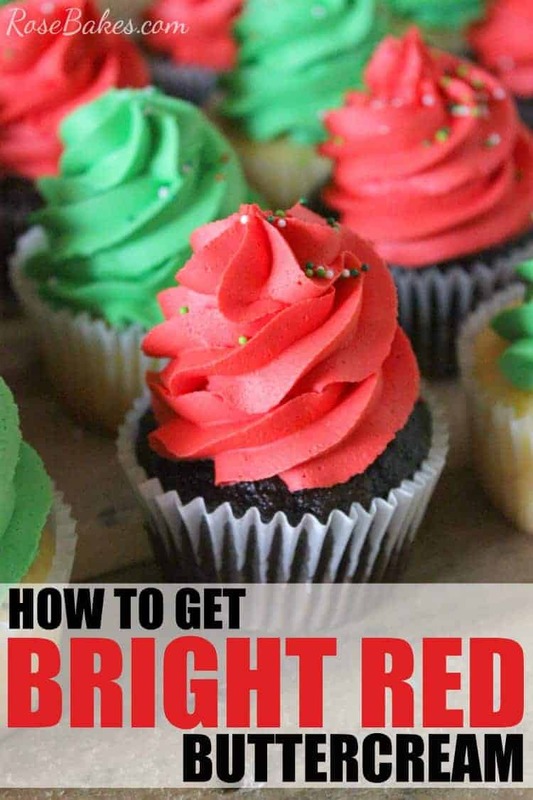 So let’s get to it: How to Get Bright Red Buttercream! Usually the scenario goes like this… you start mixing in the red food coloring and your frosting turns pink. Or coral. You add more and it doesn’t seem to be getting any better. The frosting is still a pink-orange-coral color. You add more coloring. Maybe your frosting starts to get runny. Your buttercream starts to separate. You panic. I’ve been there. But the answer to this problem is very simple. Americolor Tulip Red Gel Coloring. I’m 100% sold on Americolor gel colors and Tulip Red is the bombdigity when it comes to getting a pretty, bright red frosting. I know, I know – most people are just gah-gah about Americolor Super Red. And honestly, I like that particular red and still use it for some of my cake decorating ventures. But Tulip Red is a much better color in my opinion to get bright red buttercream. Now I’m sure other decorators will have different opinions or tips about getting a good, bright red, but this is it for me. I took this picture the day I finished the cake and you can see already that the red buttercream is darker than the nose/mouth. But when I got up the next morning for delivery, it was really, really dark and I was quite disappointed. With Tulip Red, even when it sits, it will get a little darker or richer, but it won’t go super dark on you. Granted, if you have to choose between Americolor Super Red and any other brand of red coloring – go with the Americolor gel colors. But if you have a choice between Super Red and Tulip Red, Americolor Tulip Red is your best bet to get bright red buttercream! Americolor Tulip Red. Obviously, this is my first tip 😉 Get this red here!! Plan ahead. As with any deep/dark color combined with buttercream, you’ll want to mix it up and take plenty of time for the color to develop. It will always get darker with time! Start with a white buttercream. Mix in red until you get it barely red enough, then cover it and let it sit for an hour or two for the color to develop. If it’s still not red enough, add more and again… let it sit as long as you can. I actually prefer to make my red buttercream a day before to really give it time to develop. I’ll go back to it every 1-2 hours and add more here and there until I get a true, bright red. Start with pink. But wait – you want to avoid pink, right? Trust me on this. If you have pink gel coloring, another way to jump-start the red coloring is to first color your frosting pink. This gives the red a good “base” to go from. I like to use Americolor Electric Pink – especially when going for a really vibrant bright red. Americolor Deep Pink will also work but it seems to have a slightly purple hue, so don’t use too much! Add more powdered sugar. If you’ve already panicked and added too much coloring and your frosting is starting to fall apart, you can often add more powdered sugar to thicken it up again. If you’re using Americolor gel colors and you’re following tip #1 about planning ahead, you shouldn’t have this issue. But if you happen to add too much coloring and your frosting gets too runny or starts to separate, you can often mix in more powdered sugar to thicken it up again. There’s one problem with this… the additional sugar may lighten the color again (which is not what you’re going for). In my experience, this goes back to #1. If you’ve added so much color that your frosting is runny, you’re probably not waiting for the color to fully develop. So add the powdered sugar to thicken it, then step back and WAIT for that color to come through. 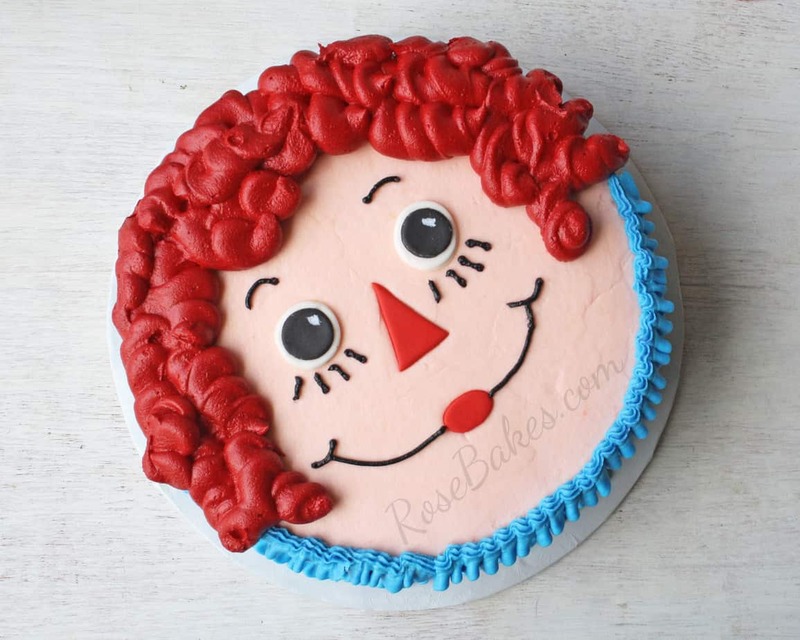 I’d be wiling to bet most red frosting can be saved this way! I’d love to hear your thoughts. Have you struggled with this? Do you have any other tips or thoughts? Leave me a comment! Your colors are amazing I will definitely try this. Thanks for your instructions. Thank you – good luck! If you are using Red Dye 40, remember it is banned in Europe! Wonder why! We don’t use food colorings unless they are natural. They are banned in other countries for a number of reasons, including worsening or mimicking symptoms of mood disorders and such. I have some beet powder and I’m going to give that a whirl… hopefully I can get a true red, even if somewhat light, with it. When I used Tulip Red from Americolor, it was a bright, deep orange and not a red at all. Did I do something wrong? It sounds like you need more coloring and to let it develop for longer. Americolor Electric Pink is THE best coloring for hot pink!! I’ve used it to color fondant here and buttercream here. If you use the search box at the top right, you can search “hot pink” and see several other cakes where I’ve used it. I used fuschia on my grand daughters mini mouse cake the pink white one. Wish I could post it on-line for you to see. The fondant coloured up very well. I have a set but I’ve used them once. They don’t have a brand on them. Never seen Tulip Red, I’ll have to look for it and give it a try! Great tips! Thank you! There have been times that I’ve made cakes that should have had red, but it just never quite got there. Hi! I’m in southern MS, USA. I’ve always just bought super red. I will have to try the tulip. Thanks! And I totally agree….americolor is the best! Hi Rose! I am one of those Super Red fans (Yikes! ) but I do have the Tulip Red too, just don’t use it as often. Now I’ve got to compare them more closely lol. I do agree with you on starting off with a pink base though. Either way, these look fantastic! Now I want to eat a cupcake. Or 10. How does it taste though? Every red I’ve tried including ones specifically labeled “no taste” taste awful! I’ve honestly never noticed an aftertaste or bitter taste. Tulip red does not have the bitter taste that super red does. Thanks for the tips on getting a bright red buttercream. I recently went to my local cake decorating shop and asked advice on this same issue and was told by someone who I’m told was trained at a patisserie school to add a small drop of Americolor Black to Americolor Super Red which resulted in the colour going a muddy reddish/brown. Rather annoying but I look forward to trying your suggestion especially with Valentine’s Day just round the corner. Black, huh?! I’ve never heard a recommendation like this! I hope the Tulip Red works better for you! Fantastic tips! I have always struggled with red and usually avoid using it because I’m never happy with my results using Super Red. I also struggle getting a nice Christmas green. How did you get your shade of green in this photo? It looks perfect! I think I mixed Leaf Green with Electric Green to get a really vibrant, bright green! I’ve never even heard of Swiss Buttercups… sorry! My Granddaughter was just recently taken off red dyes and since she is all about true deep pink, that is tough. So if someone finds a good result, please post it. 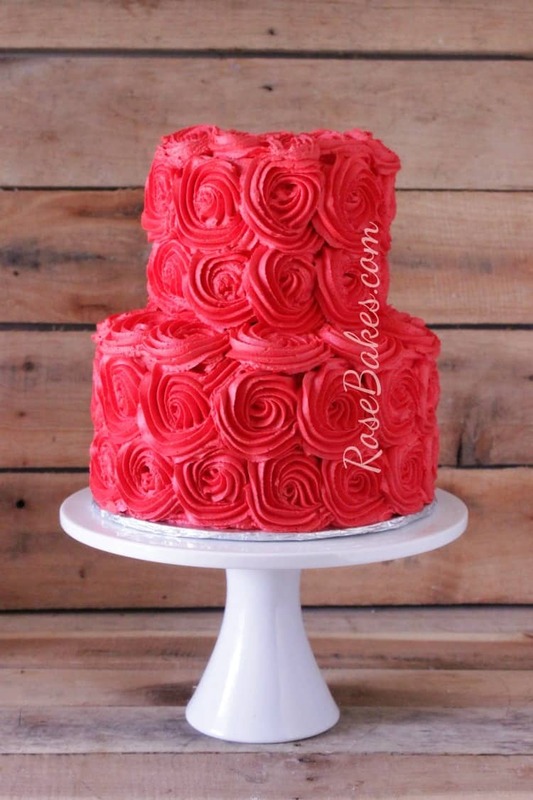 Oh thanks so much rose!this will help a lot….how about black color in the buttercream? Quite honestly, I try to talk my clients out of anything that includes black buttercream, but if I have to do it, I use Americolor Super Black. I don’t know what’s been more trouble over the years, black or red. As a teen I did ceramics with my mom. Red was a problem with that hobby. It seems no matter what medium one works with, red is a problem. This article was wonderful to get. Thank you! Thank you so much for this article. I do have some red cakes coming up, and always have the same struggles as everyone else with making a nice, bright red. Hi Rose, is there an alternative to tulip red, i only have super red and electric pink. Would that combination work? This came just in time. I making a firetruck cake for my grandson soon. Red is the problem for sure & black! !So I will give it a try. Thank you. I’m surprised you haven’t tasted a chemical/bitter taste with Americolor. Don’t get me wrong the color is gray bit what about taste? Any suggestions of something that doesn’t taste so bad? Hi Rose! I so enjoy your blog and I really appreciate your helpful tips. Going to make red buttercream right now! I haven’t noticed any bitter taste with this red. If you put in to much of the paste color it leaves a bad taste to the icing. I use no taste red and start with a chocolate base icing to get a true red color. Taste is very good! Would this work on whipped cream frosting? As a former cake decorator the problem I had with any deep color using Wilton paste colors, was the frosting was always bitter. We were told to tell our customers who wanted these colors about the bitterness. How is this gel different? Thank you so much for this tip. Do you have any other tips on how to get darker colours like deep purple and navy blue as well please? Thank you for your tips on bright colors,especially on red. Made Elmo n it came out great. THANK YOU FOR SHARING THIS INFORMATION….I HAVE TROUBLE WITH COLORS A LOT ….. I used Americolor Super Red on my pink batch and now it tastes DISGUSTINGLY BITTER! Please help! How can i fix this? Also need to make royal blue and yellow! Any tips on coloring Italian Meringue Buttercream? It never seems to take color very well, and the thought of putting confectioner’s sugar in my icing just grosses me out. I can’t stand the pasty texture and overly sweet taste. 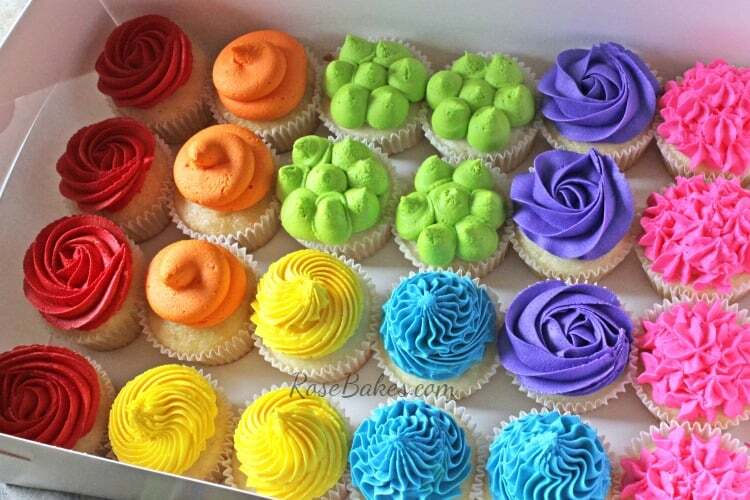 Reminds me me of grocery store cakes, lol! I’m sorry – I haven’t ever made Italian Meringue Buttercream, so I’m no help on this one! Thank you for this recipe!! I just made it with Deep Pink & Tulip Red. Is it possible to add too much pink to begin with? Before I knew it the buttercream turned REALLY bright pink. I added my Tulip Red but it still felt more like a coral than red. I’m currently letting it sit for it to get darker. When you let it develop overnight how do you store the buttercream so it doesn’t crust too much while developing? I have did the trick in making pink icing first with wilton colours. Then added two containers of red and still get pink, dark pink. What am I doing wrong? I can’t use cocoa powder because the customer doesn’t want that. Maybe try another brand of coloring? I haven’t used Wilton colors in a good long while. Love this but it would only work on American Buttercream. What about Itslian or Swiss which are butter based? They don’t color easily especially the dark colors like this red you made. Do you know the secret? I’ve never worked with Italian or Swiss buttercream. Oh you mean that the people eating it were getting red mouths? Yes, that could easily be a problem. But it’s also a problem with any other rich color (blues, greens, blacks, etc.). No, I haven’t had problems with bleeding. does the Tulip Red have that bitter taste that most red does? And how do you stop it from bleeding into the white buttercream icing if I’m making red roses? I haven’t noticed a bitter taste. I use Americolor Royal Blue. What is the green color u show in that photo? I love that green, it’s perfect Christmas green! Thank u!! I think I used Leaf Green with a little Kelly Green.